Evan Blass of @evleaks fame recently leaked a render of the Galaxy S8 and Galaxy S8 Plus which reiterated that the flagship will be offered in three colors. However, the back wasn’t visible in that render so we couldn’t really get a sense of how the handset looked in different colors. Just yesterday, Blass tweeted out another render which showcased both the front and rear design of the Galaxy S8 and Galaxy S8 Plus in Orchid Gray and Black Sky colors. He has now tweeted a new leaked press render which reveals all three colors of Samsung’s upcoming flagship smartphone. 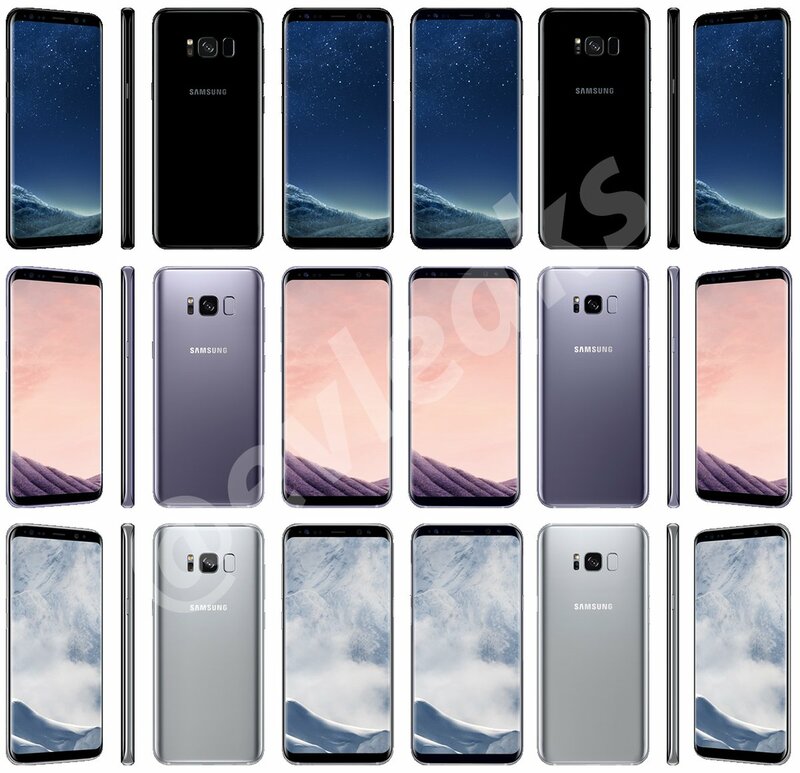 In the image posted below, you can see the Galaxy S8 and Galaxy S8 Plus from top to bottom in Black Sky, Orchid Gray and Arctic Silver colors. Samsung has used black on the front of every Galaxy S8 color option to make the handset look even better. Black works for the front as it does a good job of hiding the sensors on the front. We wrote a detailed piece about this, discussing the merits of going with an all-black front for the new flagship. It’s possible that Samsung might offer some other color options in select markets down the line but from the looks of it, these three will be the ones that are made widely available once the handset is released next month. Almost, somewhat, not ugly. This is a huge win, even my S7 I find incredibly ugly. But that back square camera thing was always a big problem for me, so the fact that the fingerprint scanner is on the back, is probably going to end-up being a huge no. All S8 front bezels are all black now, so what are you guys colour preference now? They’re too long! I hope the Note 8 doesn’t look like this. Gray+Black looks really good. But if there will be only 3 colors and all of them with black front then its very poor move from Samsung. There should be gold and blue with same front as back as well! That subtle purple is beautiful and they really are going for the sophisticated look, pulling it off too!